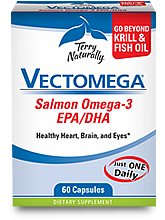 Recommendations: 1 tablet daily with meals or as directed by your healthcare professional. 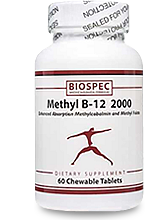 Methyl B-12 2000 provides a highly absorbable form of vitamin B-12 plus Folic Acid in a great tasting chewable tablet. Other Ingredients: Fructose, Dextrose, Maltodextrin, Stearic Acid Natural Cherry Flavor and Magnesium Stearate.